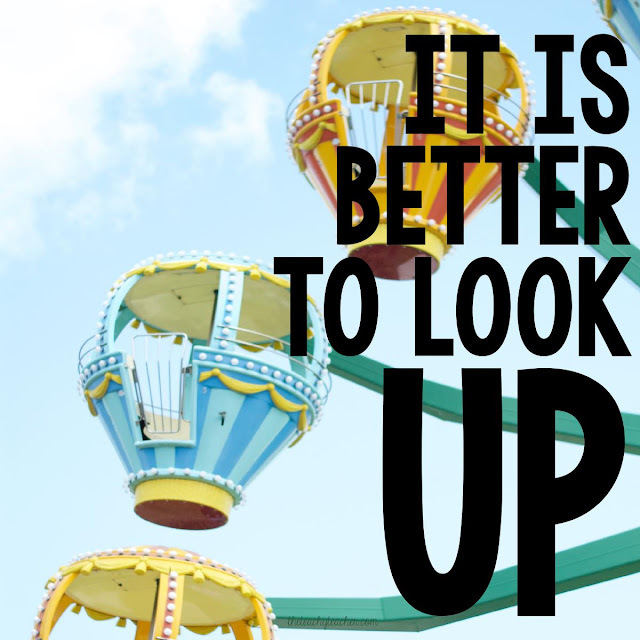 theteachyteacher: It's Better to LOOK Up! I know it's the middle-ish of the school year and it's so hard to see the light at the end of the tunnel. February is a month, I'll tell you, it's a month! It's dark early in the evening and sometimes you probably hardly see the sun. But the work is all worth it. I promise! Just keep looking UP!